We all know how much dogs love to go for car rides. The only trouble is they can put a lot of extra wear and tear on your vehicle. Between all the dog hair, dirt, water and tough paws, you can see trouble after the first trip. There are a couple of options you can look at to protect your vehicle from the damage travelling with man’s best can do. 6 If you enjoyed this post, GET updates. It's FREE. 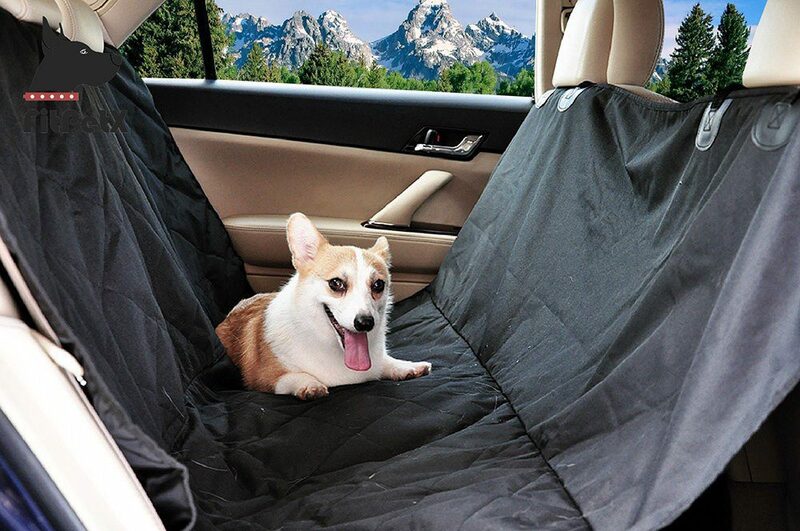 This car seat cover will keep your entire back seat protected, while also helping to encourage your dog to stay in the back. It comes with two pockets to store items such as waste bags, leashes, toys and water dishes. This cover is waterproof and simple to clean. It is easy to install and fits many SUVs and their headrests. You will find that it does not easily fit cars with headrests, however. This cover is non-slip and secure. The rubber backing comes with multiple secure straps to fasten the dog seat cover in place on leather or cloth interiors. The rubber bottom provides a grip so it doesn’t slide around, insecurely. It is 100% waterproof, protecting from mud, pet hair, water and more. The hammock is easy to slip in the machine when it’s time to give it a wash. 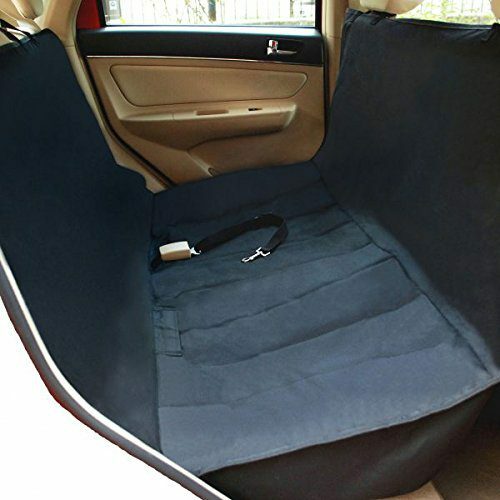 This car seat cover measures 54”x58” and fits most standard rear seats in vehicles, even in trucks with small benches. It is recommended that you measure the seat before you order. It can be used as a hammock that is waterproof, or just a simple cover. It is easy to fold, so you can simply stow it away when you’re not using it. There are seat anchors and seat belt openings that have Velcro closures to keep the hair and dirt from your car. It is ideal for protecting against scratches, hair, spills, dirt, and fur as well as other messes. 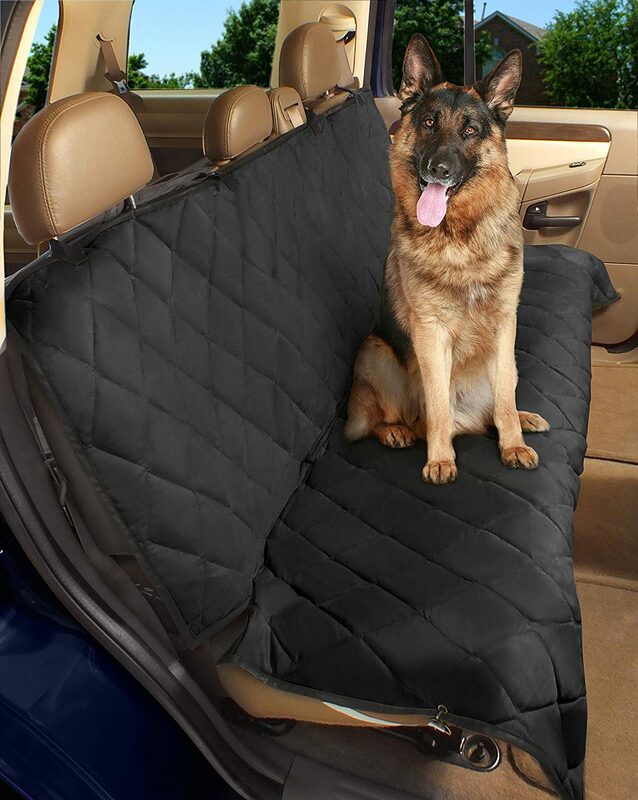 Thick enough for daily use with large dogs, this cover is easy to install and has openings for seat belts. This model is for use in vehicles with adjustable headrests in the back seat and covers the back seat completely with durable, water-resistant fabric. It will not leak or bleed color onto your seat fabric. Once this gets dirty or hair covered, simple toss it in your washing machine. It is completely washable and won’t damage your washer. 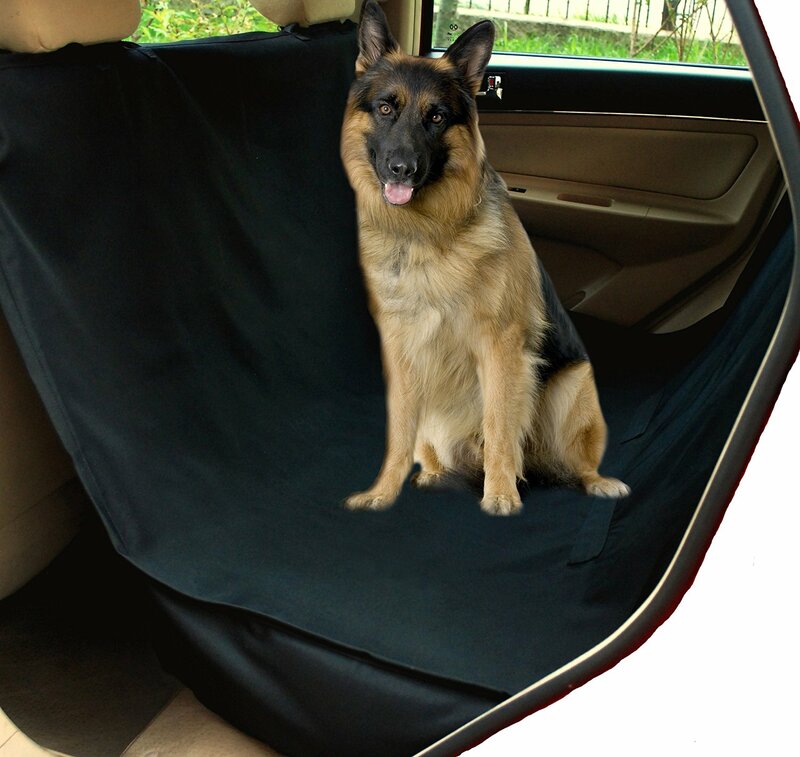 Especially effective when your dog is climbing in and out of your vehicle, this pet cover has side flaps to protect the sides of your back seat as well as a hammock design covering the back of your front seats. 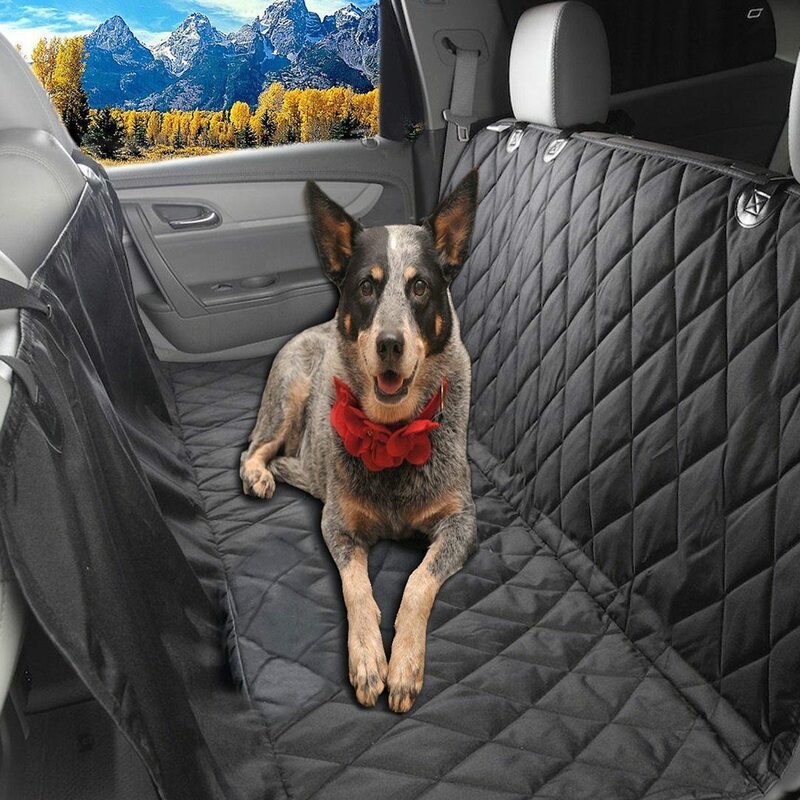 It is completely machine washable and 100% waterproof, ensuring that your seat will stay new looking while your dog travels. With reinforced straps and a lifetime warranty, this model is sure to last. If waterproof protection is important to you, this 3 layer seat cover is ideal. It has Velcro openings that hug close to the seat belts for good protection and usability. The seat anchor design and clips for the front seat headrests make secure installation easy. This model will not bleed color onto your seat fabric and contains no AZO dyes or heavy metals. Perfect for the comfort and safety of your pet. The material in the Nac&Zac is high-quality and sturdy. It is ideal for protection from spills, claws, dirt and fir. There are side flaps for further protection. There are slits for the seatbelts to come through making it easy to still use them. There are velco closures around the slits to ensure the pet hair doesn’t go through. 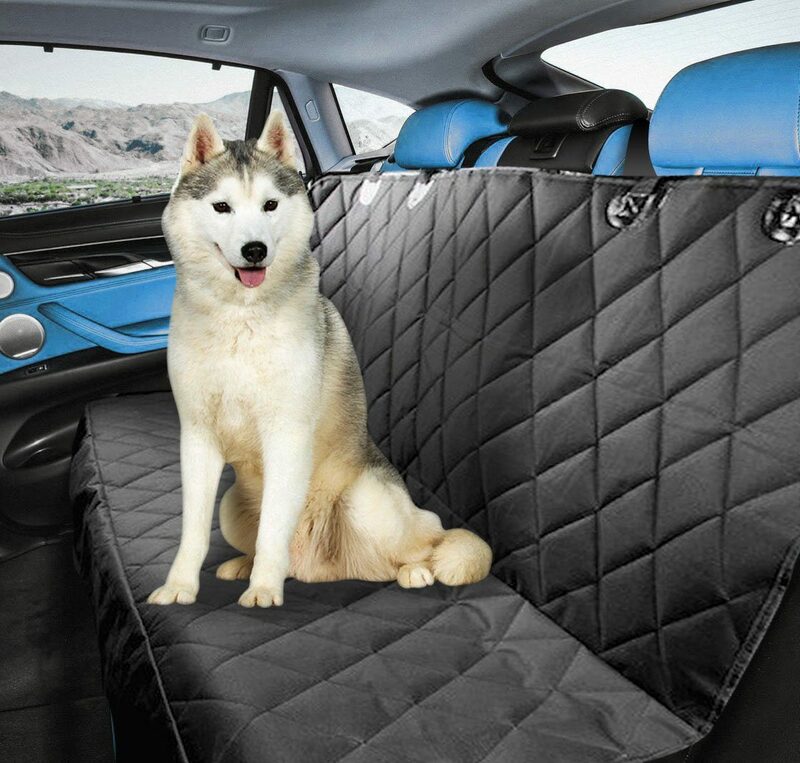 You get 360-degree protection for your seat, while your dog stays comfortable on a soft, quilted cover. There are three layers to the pet hammock and the middles is PE waterproof, which doesn’t have an odor and is harmless. This seat cover makes it perfect for you to use when taking your dog to the vet, park, groomer or for a swim. It is 63” long and 56” wide, fitting most SUVs and headrests. It is easy to install and has quick release clips so you don’t have to leave it in your car. You can vacuum it or use a wet cloth to wipe it down. The top layer is made of a canvass-like material and it is also machine washable. This seat cover comes with the bonus pet seat belt and comes with a lifetime warranty. This pet seat cover has four layers for thorough protection against dog claws, as well as hair, dirt and the general wear and tear from transporting dogs. 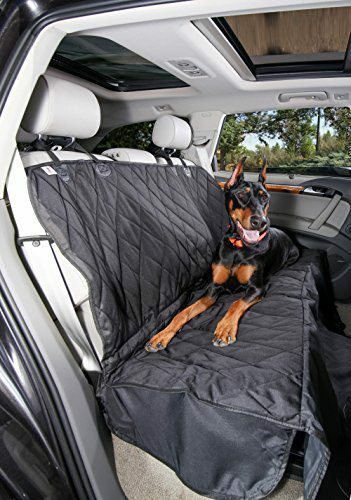 With a slip proof material on the seat side of this cover, your dog will not slide around when you corner and your car will be well protected. It covers the back seat entirely as well as attaching to the headrests of the front seats for complete coverage. This model can also be used flat in the back of an SUV. Available in three colors, you can match this cover to almost any vehicle. Made with premium AZO and heavy metal free fabric and straps, and UV protected, this model is durable, safe, and long lasting. Covering the back seat, right to the floor, and with openings for seat belts and car seat anchors, your pets and children can easily ride together. It can be lightly cleaned with a damp cloth or washed in you washer for bigger messes. More positives features of this model is that it comes with a lifetime warranty against defects and the manufacturer donates $1 per cover sold to the ASPCA or other accredited pet protection groups. You can decide to put a crate in your car. This can help eliminate hair from travelling around your seats, as well as contain dirt and dander. Your dog will also have a bit of protection in the case of a crash. It is also considered safer for you and your passengers as well. Depending on your vehicle, you may want to utilize a gate to keep your pet in the back of your SUV. For many of us, however, the joy of bringing our dog along is to see them enjoy the ride beside us or in the back seat. There are also those who would like the added protection of both a seat cover and the kennel. 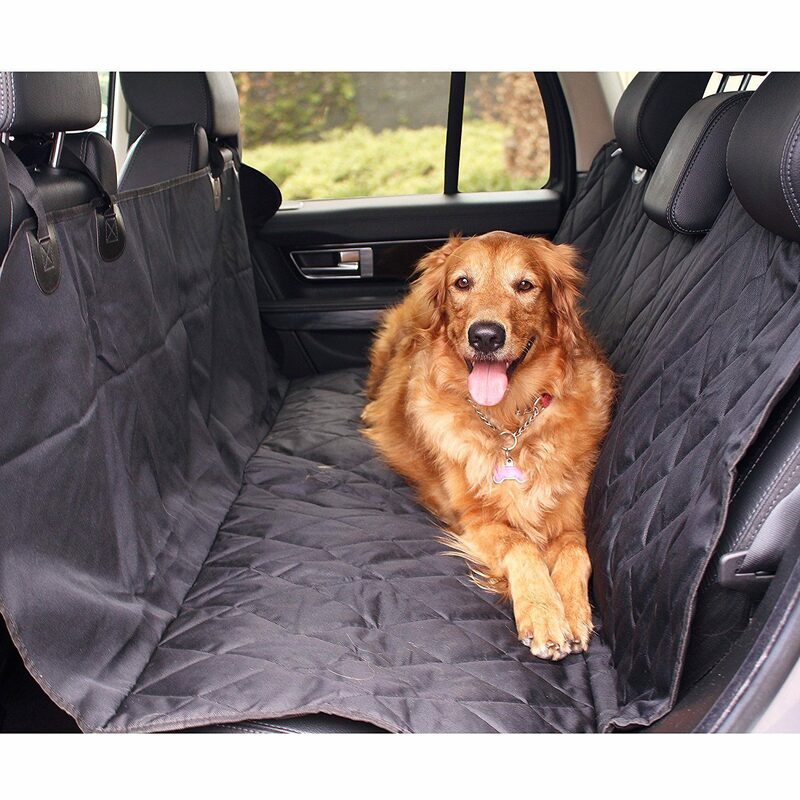 You want to consider the type of material used when shopping for the best dog seat covers. Something strong that will protect your seat from your dog’s paws is ideal. You want the material to be durable and waterproof where possible. This will help it protect your car even when your dog is wet. Car seat covers that provide multiple layers will offer some of the best protection. Measuring your SUV backseat or car’s backseat will help you make sure to get a seat cover that is not only big enough, but is appropriate for the car you have. Generally, a length and width measurement is all you will need. Once you have this, look for seat covers you like and then read the description carefully to make sure it fits. You will also need to consider how the seat cover is secured in your car. Many come with straps that will easily belt the cover in place and come undone when you are ready to remove it. You should also read to see if there is protection from hair and debris falling through the strap inlets. Another consideration when shopping for car seat covers should be whether or not your seat belts can pass through for use. This will allow you to strap your dog in if you use a safety belt, or allow you to use your seat cover when you have passengers back there as well. One more point to consider when shopping for the best dog seat covers is storage. How you will store the cover when not in use is important. Is it easy to remove? Easy to fold up? Does it have a bag or case to put it in when you’re not using it? These considerations can mean the difference between a convenient seat cover you use all the time and one that simply collects dust. There are seat covers that also come with small pockets in them. These are perfect for stowing away leashes, dishes, treats and other items you like to have when travelling with your pet. Something else that you should think about is how you will clean your cover. You may want to make sure your cover is machine washable so you can get it truly clean in between uses. This may not be a big priority to you. If this is the case, there are options for covers that you can wipe down with a wet sponge that offer quality protection for your car. While it is important to consider your budget, you will also need to think about whether or not you want budget over quality. With seat covers, the material will contribute to some of the pricing. If you are trying to be very careful about what you spend, you may end up with a seat cover that is made of inferior material. You want to make sure you have durable material that is strong enough to handle a dog climbing all over it. Anything less won’t protect your seat. One thing some people consider when shopping seat covers for their car is what else comes with it. With a dog seat cover, there are several options that come with dog seat belts as well. This can help you travel with your best friend in a safe manner and save you quite a bit of money as well. If a canine seat belt is important to you, this is something you should shop for with your seat cover. This will help insure that you are able to use it easily with the cover you have. You will also be able to get a little more out of your budget by shopping for the items together instead of separately. 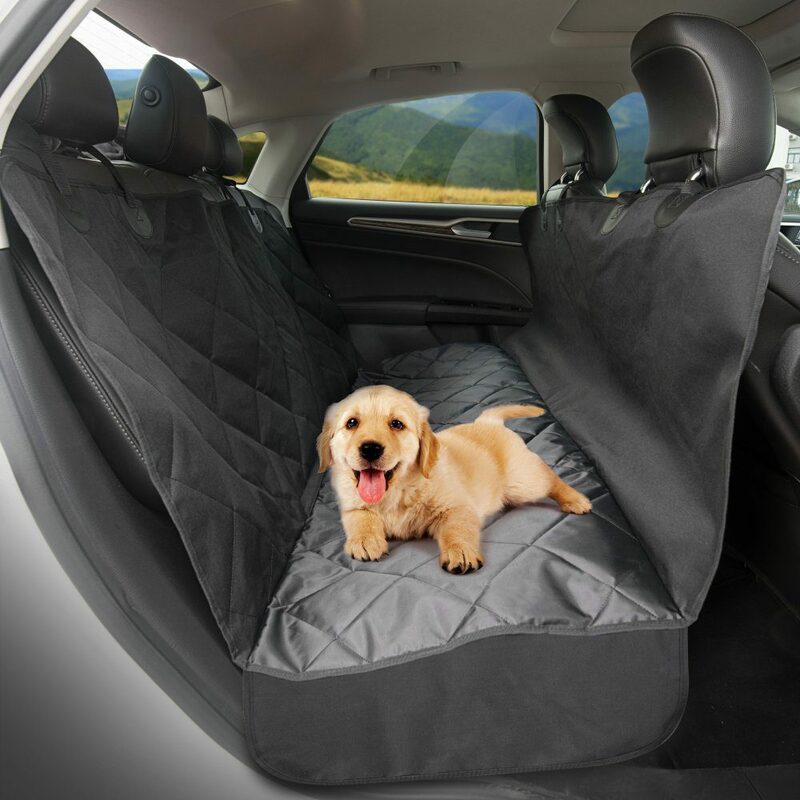 One of the first steps to getting the best dog seat cover is to measure your seat and consider how much you will be using the cover. This will let you start shopping for convenience and for the right size. Once you have these factors in mind, simply start looking for the cover that is most appealing to you and that fits in your budget. Before long, you and your best friend can be enjoying many more road trips together.